“To make an orchestral piece like William Tell Overture work as a guitar arrangement, it’s important to exaggerate the dynamics. For example, I play the introduction loud, then when it moves into the main theme (bar 7), I mute the strings and play quite softly. When I go up the octave at bar 11, I un-mute, and use the open chord sound. I follow this pattern throughout. Fortunately the key of E is perfect for the guitar, it means we can use the whole of the fingerboard from open chords up to the 12th fret. The galloping rhythm is also very important in this tune, and when the pattern breaks at bar 35, it’s a wonderful release. That’s also a high point dynamically. At bar 43, I bring the volume down, and mute the bass strings. I keep that whole section low, and then hit it hard (bar 57) to create surprise. One of the trickiest phrases for me to play is the phrase at bar 23-26. When learning, just play it very, very slowly. Repetition is the key. Michael Fix is widely acclaimed as one of the world’s finest acoustic guitarists. Michael began performing at the age of 12, and in his early twenties moved to Sydney, where he was discovered by the legendary Tommy Emmanuel. Emmanuel became a mentor to the young guitarist and spent several years teaching and working with him. Over the past two decades, he’s released 13 albums, together with several singles and EPs, and has established himself globally as a leading performer, appearing at festivals and concert venues across Australia, Europe and Asia. Do I need to change the file extension in order to open this file. When I click on the download it tells me Adobe can’t read the file. 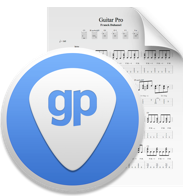 Is there a Guitar Pro Version that opens gpx extensions. Hi Robert, no need to change the file extension as long as you own Guitar Pro 6 (.gpx format). Hi! I I have Gpro 5 on a Mac and/or windows 7, but cannot seem to open the .gpx format downloaded tab? Hello Dean, you cannot open .gpx file with Guitar Pro 5. If you want I can send you the file in .gp5 format. Just send me an email at contact@arobas-music.com. Thank you. What di I have to do to be able to download into guitar pro 7 ?